I am so excited to share this with you today. 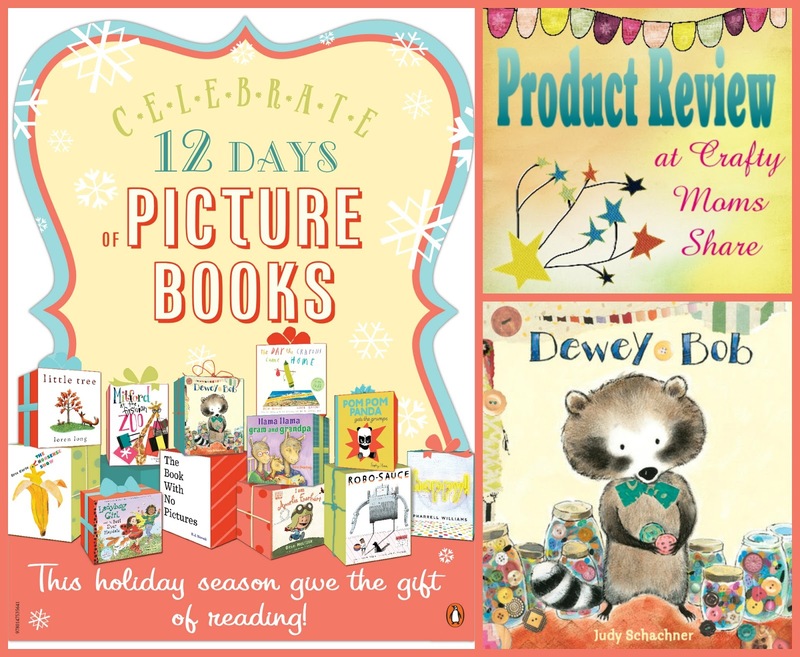 Penguin Random House is celebrating the season with a 12 Days of Picture Books Gvieaway! !And I get to be part of it. The sent me some of the amazing books they are giving away to review. Today's book is Dewey Bob by Judy Schachner. 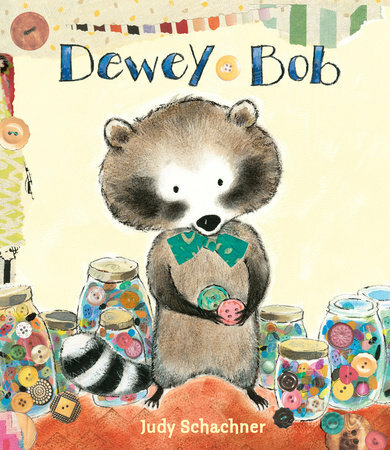 In this adorable book, a young raccoon who has a habit of collecting everything and especially buttons ventures out on his own. After struggling to find the right house he settles in and makes creations with his collections. He likes his new home, but he begins to feel lonely. He goes off to collect some friends, but most of the animals he tries to collect think he is crazy and run away all except one. That one is disabled and he takes care of it and creates a way for it to get around on its own. Then he discovers what true friendship really is. The pictures in this book are wonderful. The story and the pictures are just sweet. I love the book and see an extension being just giving kids a bunch of things: buttons, sticks, pipe cleaners, things from the recycling bin, or whatever else you have around and letting them create. What will it be? Will it be something practical or will it be "art"? Author and illustrator, Judy Schachner describes her process from ideas and art in this YouTube video. Now go try to win a copy of this great book over at Penguin Kids Facebook page! Or if you do not want to wait, go buy a copy. 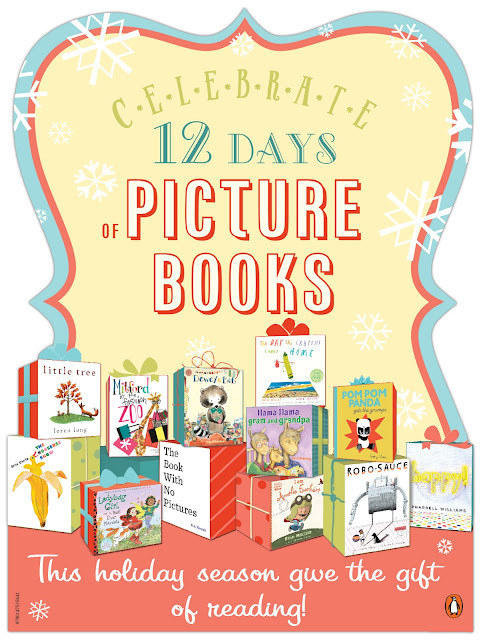 It is a wonderful gift for a young reader and a wonderful lesson on learning about friendship! 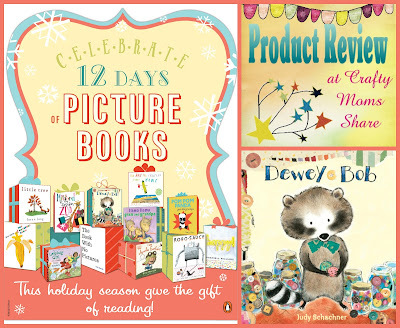 If you are looking for more great picture book gifts check out Penguin Young Readers Holiday Gift Guide. For even more gift ideas check out my Gift Guide.